At the BLFON Personal Injury Lawyer, we provide aggressive legal representation for injury victims and their families, whether in the courtroom or at the negotiating table. Our lawyers have over 50 combined years of experience and expertise in personal injury law. When you entrust our personal injury lawyer in North Bay team with your personal injury claim to our legal experts, you can be assured that we will put forth our strongest efforts to assist you in recovering the maximum amount of compensation for your injury-related expenses. Whether your injuries are physical or psychological and resulted from another person’s carelessness, negligence, or recklessness, we are here to help you. Furthermore, we will represent you and your personal injury case against any company, government agency, or individual. As a legal team, we are not intimated by the aggressive legal teams of the other party, but ensure that we peruse the case until favorable judgement or settlement has been reached. Our clients trust us to safeguard their rights and help them seek justice and we do all that we can to ensure that it is done. Many individuals are confused about when they should consult with our personal injury lawyer firm in North Bay while others are reluctant to do so for financial reasons. At the BLFON Personal Injury Lawyer, we operate on a contingency fee basis. In other words, if we fail to win your case or get you a fair and reasonable settlement, you owe us nothing. With most personal injury cases, you have up to two years to file your claim or lawsuit. Most personal injury claims are filed when a person sustains serious injuries in an accident where a company, government agency, or individual are liable. It’s important to remember that no two personal injury cases are ever alike and that you should select a personal injury lawyer in North Bay that specializes in your specific type of claim. Furthermore, managing your expectations can play a key role in the outcome of your particular case. While most personal injury cases typically settle out of court, some may take years to resolve. What qualifies Our Firm to represent You? Hiring the right personal injury lawyer in North Bay and their legal team is an incredibly important decision that can impact the outcome of your case. Be sure that you hire the best to represent you and ensure that your rights are protected. 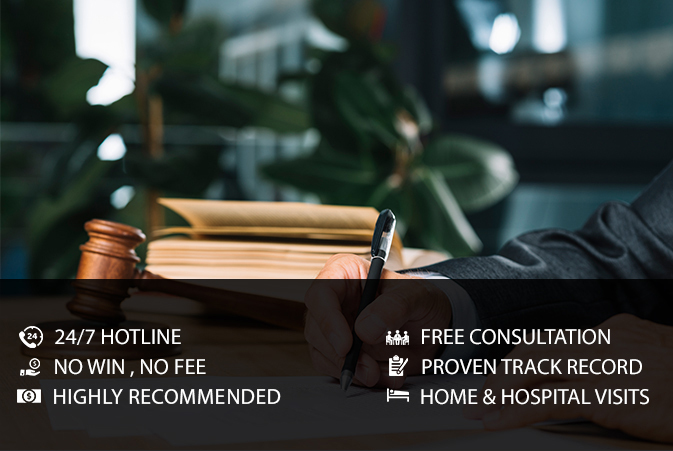 Contact the BLFON Personal Injury Lawyer today and schedule your FREE consultation. We will be glad to be of assistance.